Spend a special evening with the one you love at Broad Bay. This Valentine's Day, Thursday, February 14th, visit the Clubhouse for a Four-Course Meal, Optional Wine Pairings and the Beautiful Holloway Harp Guitar Sounds of Matt Thomas. 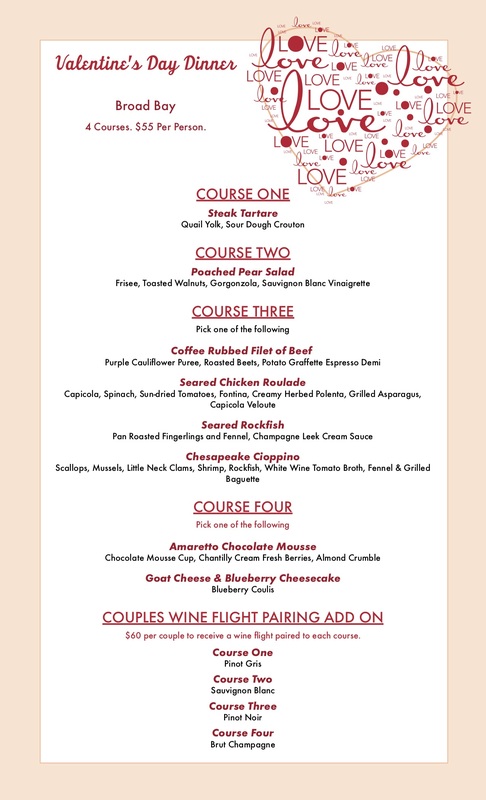 The Special 4-Course Valentines Day Dinner is only $55 plus tax per person, with an optional Wine Flight Pairing Add On. This event is by reservation only, and requires a 24-hour Reservation Cancellation to avoid charges. Call (757) 496-9090 Now to book a lovely Valentines Day at Broad Bay.